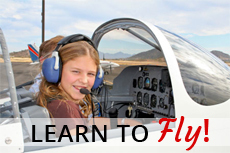 Thinking of taking flying lessons? Here are some of the most frequent questions asked by students, from our flight school in NJ. What is a discovery flight? This is another term used for an introductory flight where an instructor takes you up in an aircraft, familiarizes you with the equipment and even lets you fly for yourself. How do I qualify for flight school? To enter flight school, you need to be 16 or older, able to speak/read/write in English, and pass a physical exam. There is no maximum age restriction. When do I get to fly an airplane? Flight school is very hands-on, so you’ll be in the pilot’s seat practically from day one. A Certified Flight Instructor with plenty of experience will be with you all the way. How long does it take to get a pilot’s license? This depends entirely on you. You’ll need to acquire a minimum of 40 hours flight time and your instructor will have the final say as to when you are sufficiently qualified – for many pilots, this takes 60-70 hours of flight time. In addition to flight time, you are required to learn about aircraft systems, navigation, weather, regulations and aircraft operations. Should I choose a Part 141 or Part 61 flight school? These terms refer to the parts of the FAA regulations under which the flight school operates, and each type operates slightly differently. Part 61 schools don’t require a CFI and specify 40 flight hours for private pilot certification and 250 hours for commercial pilot certification. Part 141 schools require a CFI, a training syllabus approved by the Flight Standards District Office and specify 35 hours and 190 hours for each respective certification. What aircraft will I fly? This depends on what is available at your flight school but whatever the model, it will be a training aircraft with controls for both the CFI and student. You’ll likely learn to fly on several different aircraft as you progress. Aircrafts come with different type ratings and you’re required to do a certain number of hours on a type before you are qualified to fly it. Should I become a commercial or private pilot? Both of these options are a fantastic career choice but are very different. Commercial pilots often have an easier time scheduling their flights, while private pilots have less flexibility. The types of aircraft you’ll fly are also very different, so it’s a good idea to start with your ordinary pilot’s license and then investigate your options further. If your dream is to learn to fly and become a CFI, amateur pilot, private or commercial airliner pilot, Monmouth Airport’s flight school in NJ is the place to be. For people who love to fly, there’s nothing better than finding a career that pays you to spend your time above the clouds – but that doesn’t necessarily mean becoming a commercial or private pilot. A career as a flight instructor can be incredibly rewarding as you help people discover their full potential and love of flying. Here’s some advice from Monmouth Executive Airport’s flight school in NJ. First, you have to have a valid private pilot certificate from a recognized Part 61 or Part 141 flight school. After that, you have to successfully pass the Fundamentals of Instructing (FOI) and Flight Instructor FAA Knowledge Test, and the accompanying Practical Test (consisting of an oral exam and flight test). • The CFI Certification Course – Basic flight instructor certification. • The CFI – I Certification Course – Instrument Rating Course. • The CFI – ME Course – Multi-Engine Rating Course. One of the biggest obstacles for pilots interested in becoming flight instructors is the idea that these courses take years to achieve – but it isn’t true. Most pilots complete their training in 34-45 hours, including flight training, ground training and pre-post flight briefings. There are many reasons why pilots decide to become CFIs, but the most popular reason by far is to share an enthusiasm for flying with others. It is also a great way to increase your flying hours if you are aiming for a commercial pilot’s license. Many pilots also choose this career because it offers easier scheduling and hours that have less impact on family life. Whatever your reasons, being a CFI is a rewarding career choice for anyone who loves to fly. When it comes to choosing from the best flight schools in New Jersey, experience is everything. Our school has over 20 years of pilot training experience in training professional and amateur pilots in a range of 10 different aircraft, as well as logging over 68 000 flight instruction and rental hours. For more information about our flight school and how to learn to fly, please visit our website at http://monmouthjetcenter.com/ or contact us today. WHY YOU SHOULD LEARN TO FLY IN 2017! It’s the New Year, a time brimming with opportunities to change our lives. Whether you’re looking for a change of career and have always dreamed of flying or are an aircraft enthusiast looking to take the next step, learning to fly and becoming a pilot is an exciting and incredibly rewarding experience. Find out why you should start looking for flight schools from Monmouth Executive Airport in New Jersey. Travel opportunities: Whether you want to fly as a personal hobby or as a pilot with a charter company or private business, travel is the name of the game. With over 15,000 airports in the USA alone, over 10,000 of which are for private aircraft, you’ll be able to see all corners of the country with ease. Many bigger private jets can also fly internationally, visiting the most exclusive and exciting destinations in the world. New challenges: Being a pilot is not for everyone – you have to have the mentality, calmness under pressure and attention to detail to stay in control during difficult weather conditions and complex airport approaches. Flying is a career or hobby that teaches you to live in the present, overcome challenges and achieve goals in a unique and thrilling way. Cutting-edge technology: The world of private airplanes is booming, whether you’re looking at beautifully restored machines that can take to the sky again thanks to modern refurbishment, low maintenance aircraft that make owning a plane more affordable than ever, or the streamlined high-tech luxury jets that soar over oceans. Whatever you’re looking for in an aircraft, now is the time to find it. High demand: The USA is the private jet capital of the world, accounting for 49.7% of all private jet flights worldwide. More and more businesses are looking for real alternatives to congested commercial airports and inconvenient commercial flights, which means that it’s a great time to learn to fly if you want to make a career of it. For more information about our flight school and flying lessons, please visit our website at http://monmouthjetcenter.com/ and contact us today. COMMERCIAL OR PRIVATE PILOT FLYING LESSONS? Flying some of the largest and most advanced commercial jets in the world. Exceptional international and national travel opportunities. Great for meeting new and interesting people, getting to know new cultures and cities. Once you’re in a senior position, the salary is very good. You can’t take your work home with you, so off-duty means pure relaxation. In a junior position you are expected to work very hard with little time off. It takes a significant amount of expensive training to move into the top tiers of the industry. You will spend a lot of time away from home, including holidays, family birthdays and other important events. Dealing with airport security screening and procedures can be a hassle. Having to deal with busy commercial airports and crowded airspace. Flying some of the newest and most advanced jets in the industry. Potential to fly internationally as well as nationally on bigger jets. Being able to fly from smaller, quieter airports outside of crowded airspace. Attractive salary, benefits and schedules with better job security. Wider scope of responsibilities towards administering the flight, including maintenance inspections, catering and transport arrangements. Limited to flying certain aircraft and cannot transition to commercial airliners without training. Often expected to have exceptional personal flexibility and able to change schedule at a moment’s notice. Increased emphasis on people skills – the ability to handle a small crew, elite clients and guests with ease. For more information about our flight school and flying lessons, please visit our website at http://monmouthjetcenter.com/. Flight simulators: This state-of-the-art technology is getting more realistic than ever before, making it the ideal way to get used to using the main aircraft controls, including the yoke, rudder and pedals. You can also try out different aircraft and basic maneuvers like climbing, descending and level flight. It very accessible too, as there are a wide range of flight simulator software programs that you can download straight to your home PC, including Prepar3D and X-Plane. Get to know the jargon: Flying, whether a career or a hobby, means learning to understand a huge range of jargon. English is also the international medium for pilots, so it’s important that your language skills are up to the task. Talking with pilots and flight instructors, listening in on live air traffic control online and researching flight terminology will help you get an edge. Research online: The Internet isn’t just a great source of jargon – it’s the perfect place to really see what flight school and flying is all about. YouTube has plenty of videos that showcase all kinds of aspects of flight school, from the basics right up to the more technical aspects like navigation and aircraft mechanics. You can look up information on the aircraft you will be flying, the kinds of things you’re expected to learn and get a bird’s eye view of the whole experience.